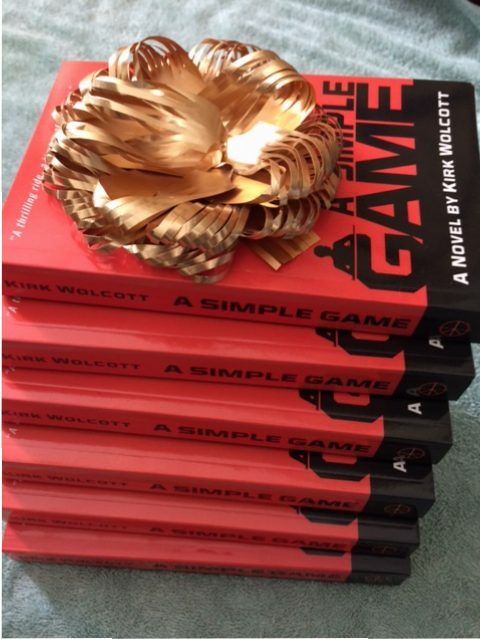 your holiday shopping, win an autographed copy of my novel A Simple Game! Starting today through December 21, you can win one of six free copies of my international thriller here on Goodreads. If you’re already a member, it’s easy to enter. Just go to “Browse,” choose the “Giveaway” link, find A Simple Game, and click on the “Enter Giveaway” box. Then leave your name and address and cross your fingers to win! If you’re not a member of Goodreads yet, what are you waiting for? Jump on at www.goodreads.com. It’s free to join and a great way to see what others are reading, recommend something good you’ve read, write a review (hint, hint), or find this year’s perfect gift – a signed copy of my book! So enter today, happy holidays, and good luck!